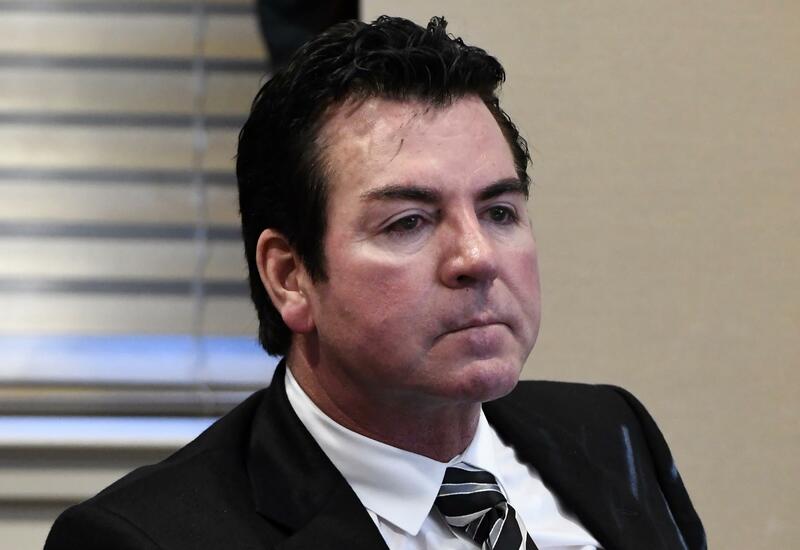 Papa John’s International’s board put further distance between the pizza chain and its outspoken founder John Schnatter for using a racial slur, agreeing to review all ties to him, evict him from the headquarters, and remove him from all marketing materials. A special committee of independent directors ordered the termination of a so-called founder’s agreement that designated Schnatter as the brand’s face and voice and is requesting he cease media appearances on behalf of the firm, the company said in a statement after a Sunday night board meeting. Though Schnatter resigned as chairman this month and no longer holds a formal management role, he remains on the board and still owns about 30 percent of the company’s shares. Schnatter came under pressure after a media report that he used a racial slur and graphic descriptions of violence against minorities in a conversation with the company’s former media agency, Laundry Service. That was just months after he exited the chief executive officer job over critical comments about the National Football League’s national-anthem controversy. Schnatter, 56, has acknowledged using the slur, while saying it was in the context of a training exercise. The committee also told the company to terminate a sublease granting Schnatter the right to use office space at the headquarters in Louisville, Kentucky, according to the statement. Shares of Papa John’s have dropped about 4.6 percent this year through July 13, leaving it with a stock-market valuation of about $1.7 billion. Papa John’s is struggling to revive its business as Domino’s Pizza Inc. and a resurgent Pizza Hut eat into its market share. In the first quarter, Papa John’s same-store sales in North America dropped 5.3 percent. The chain has said it’s trying to appeal to more cash-strapped customers by pushing discounted fare. Meanwhile, Pizza Hut has taken over as an official NFL sponsor. Published: July 16, 2018, 3:50 p.m.